We proudly introduce our new listing in Kışla of Kalkan; fabolous 5 bedroomed villa with the dazzling view of Kalkan Bay and the harbour. OUTSTANDING LOCATION!!! Large 4 bedroom Detached Villa, 2 minutes’ walk to the Old Town the villa is located in prestigious Likya Housing Development, which is the most sought after location in Kalkan. OUTSTANDING LOCATION & MAGNIFICENT VIEWS!!! in a prime location of Kalkan this timeless styled beautiful villa will be your dreams becoming true in Kalkan. Brand New Villa with a Private Pool and Great Sea Views. This outstanding three-bedroom contemporary Villa is situated in a quiet and elevated position offering breath-taking views of picturesque Kalkan Bay and of the surrounding Taurus Mountains. Situated within easy reach of Kalkan Village and harbour which is a 10 minute walk or 3 minute taxi ride. This stunning villa has its own pool, beautifully furnished terrace areas. Central Duplex Apartment with Private Roof Terrace. A Beautiful 2 Bedroomed Duplex Apartment in the Luxury Development – Asfiya Retreat – Good size apartment, less than 10-minute flat walk from Kalkan Harbour and Old Town, in the vicinity of the Likya Residence and Regency Hotels. This beautiful apartment went through a detailed refurbishment and brought up to very high standards very recently. Apartment Maria is Situated in a Renowned Asfiya Retreat Complex neighbouring prestigious Likya Residence, Rhapsody and Regency hotels. 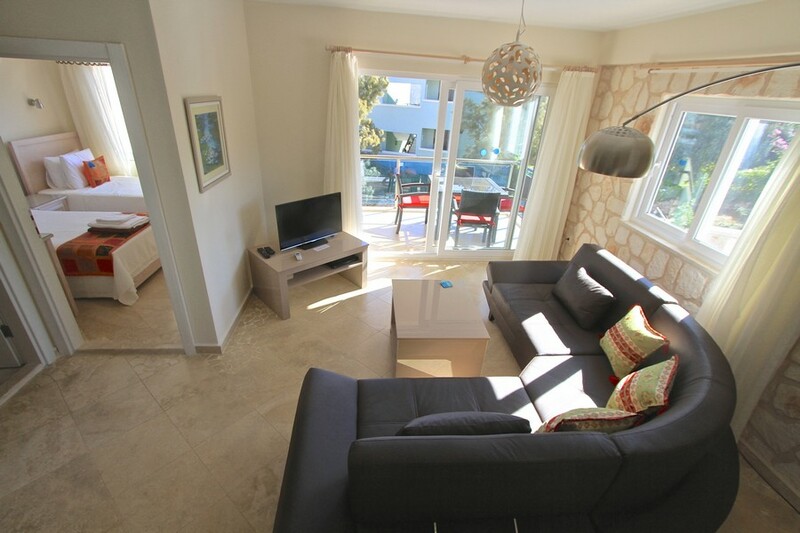 It is a modern, 3 bedroom apartment in a perfect location just 10 minutes’ walk to Kalkan’s lively harbour and Old Town. The apartment has the benefit of its own private swimming pool as well as use of the larger tranquil communal pool.